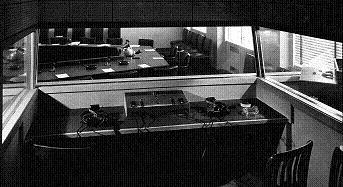 In a conference in which simultaneous interpretation is necessary, conference interpreting equipments for simultaneous interpreters will have to be used in order for the listeners to listen to the translated sentences of the interpreters while the speakers are not disturbed by the interpretations. As a professional translation and interpretation company, we provide simultaneous interpretation equipment rental services in major cities in the United States. Our language interpretation equipment includes simultaneous interpretation booths, transmitters, receivers, headphones, earphones, as well as video remote interpreting equipment and other conference interpreting equipments. Besides offering interpreting equipment rental services, we also may also offer interpretation equipment sales services as well. The prices for renting our simultaneous interpretation equipments are based on the number of days used, the location of the conference, as well as the number of receivers (for the listeners) needed. If a simultaneous interpretation equipment engineer is needed on site to set the equipment up, there will also be a labor cost. Please contact us and let us know the details so that we can give you a quote.